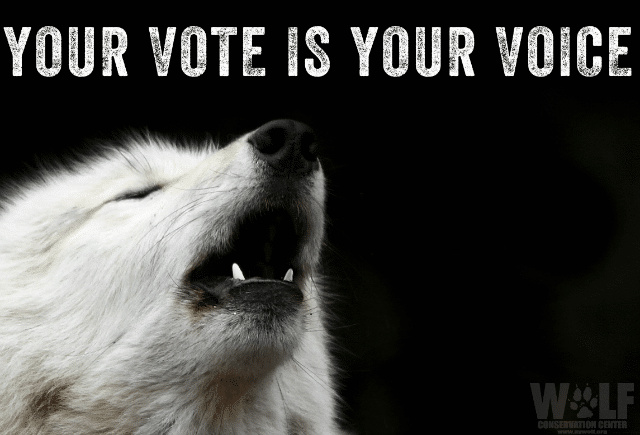 Voting is one of the most important things we can do to protect wolves, wildlife, and the environment. We can’t tell you who to vote for, but we encourage you to research your candidates’ positions and voting records on the issues that matter to you. Learn how current members of Congress voted on key conservation issues HERE. To make your voice heard you must VOTE on November 6!